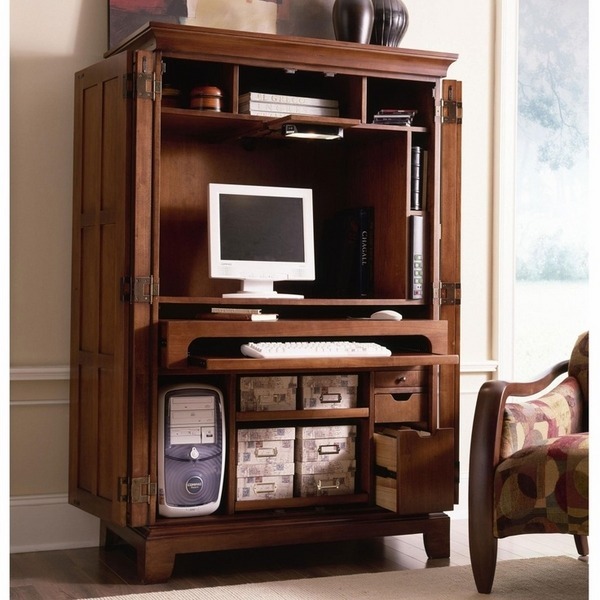 Computer armoire has appeared as furniture pieces with the appearance of home computers. 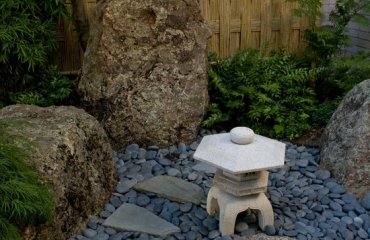 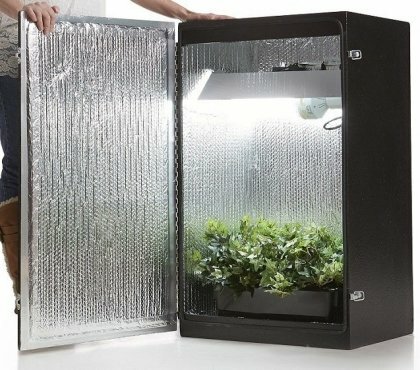 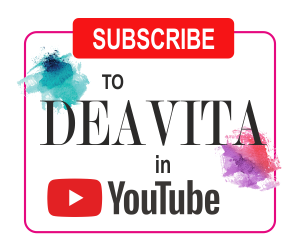 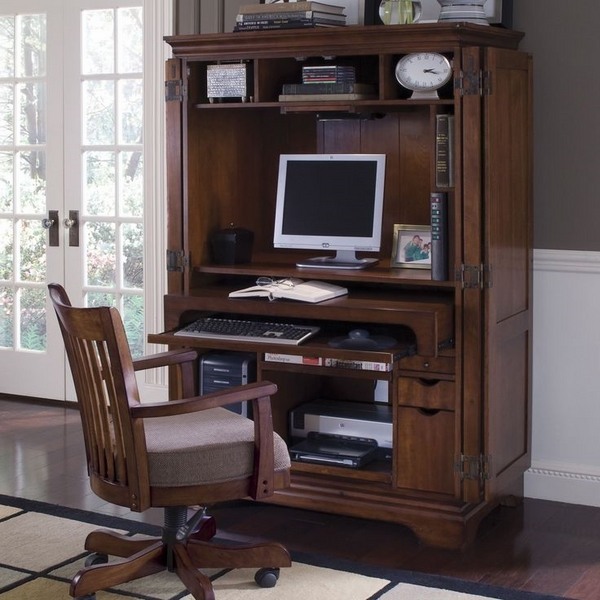 Nowadays computers are present in almost any home and sometimes we have more than one which faces us to the problem of organizing our home office or workspace in the most suitable and best looking way. 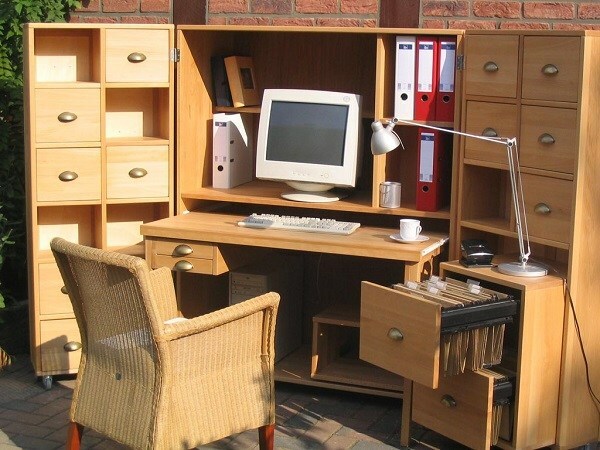 It is difficult to organize a separate home office if you live in a limited space and apartments or small houses seldom provide enough living space. 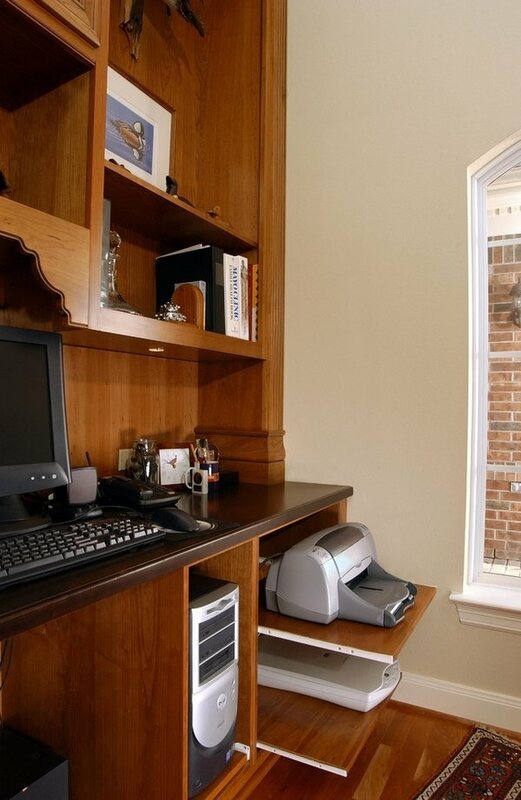 However, once we have a home computer we start adding additional equipment – but a printer, router, scanner, work files, papers and all the office supplies that we need for a normal work process. 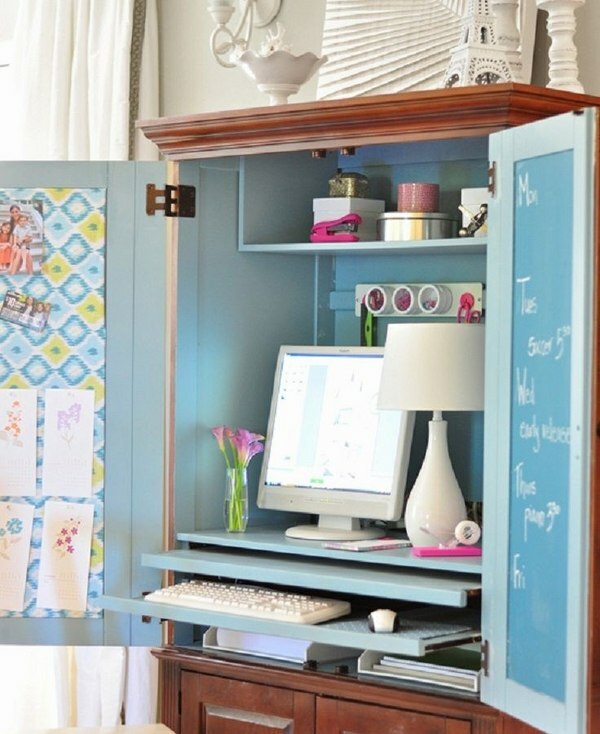 If you want to avoid the clutter whilst keep everything handy, a computer armoire is the perfect solution. 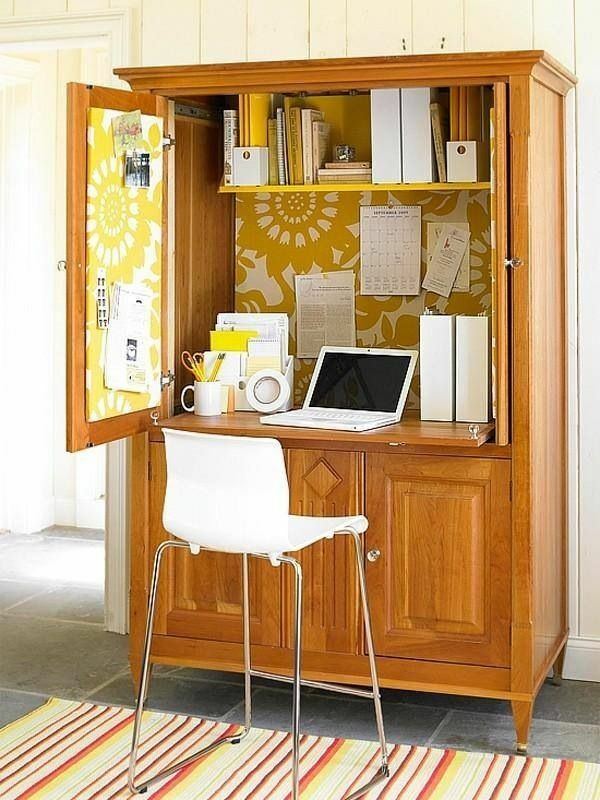 It will allow you to have a compact home office, to save space and just close the doors when you do not need it and hide everything from view when you are not using it. 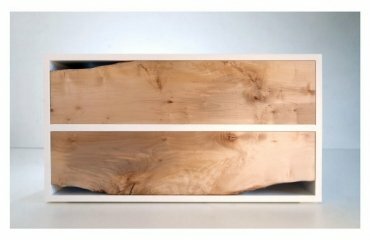 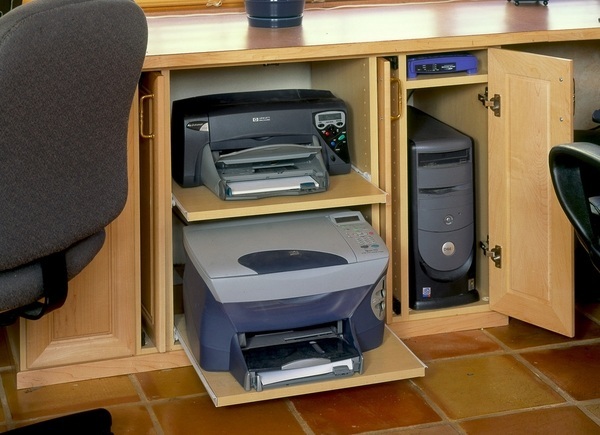 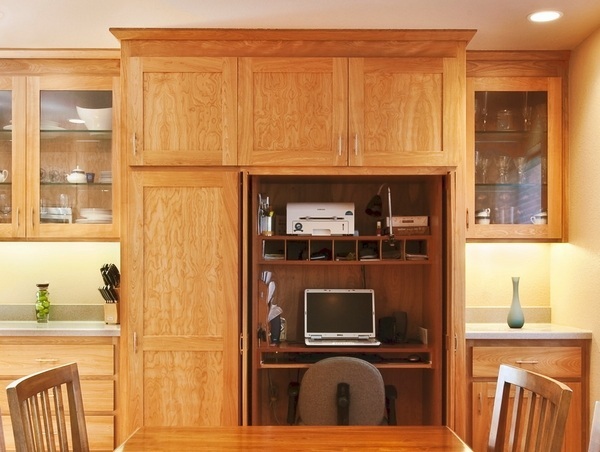 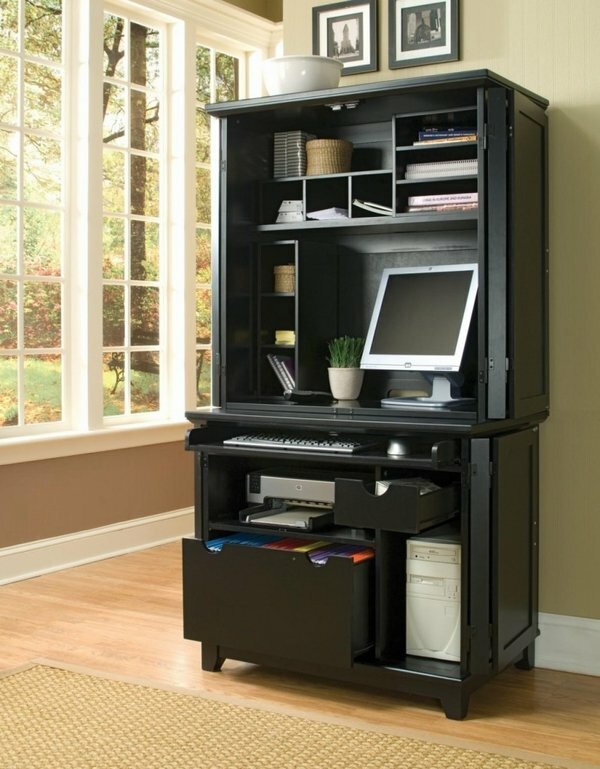 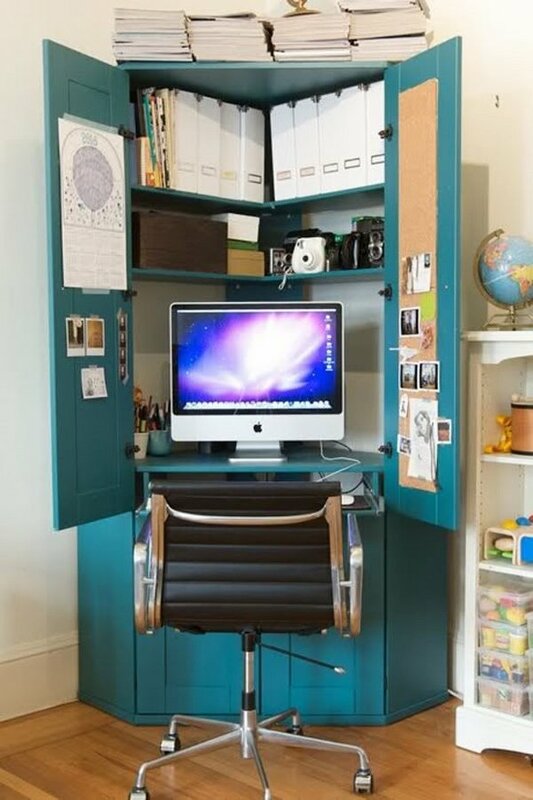 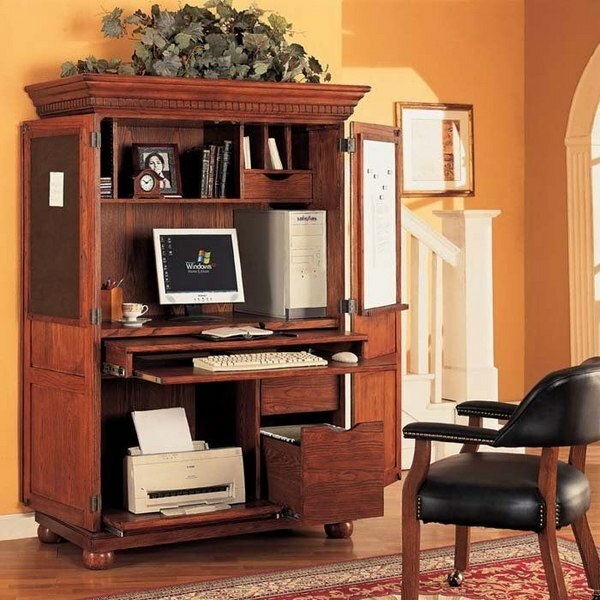 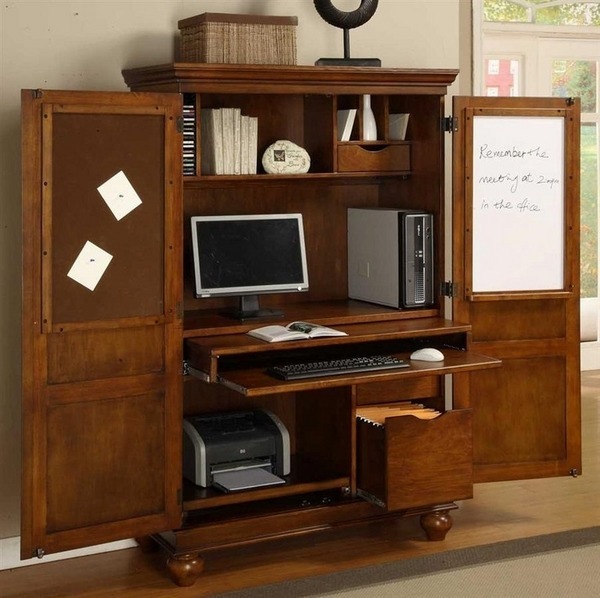 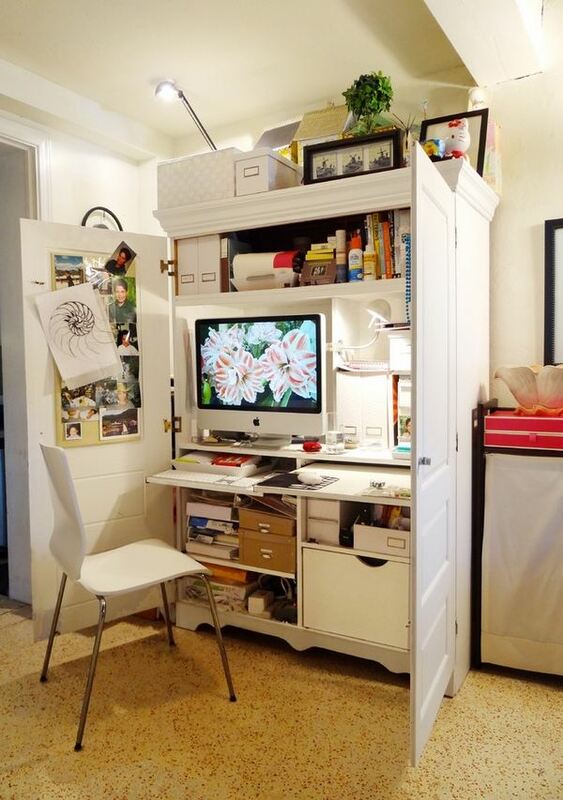 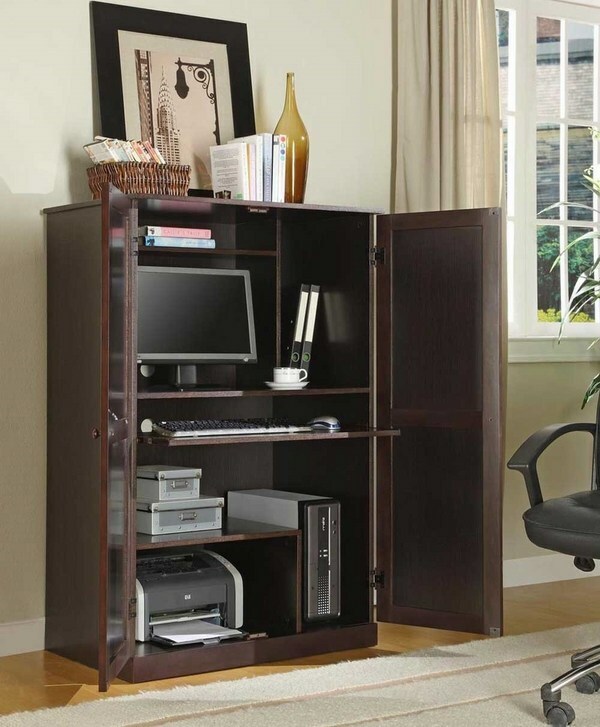 Computer armoire desks can be positioned in the living room, the bedroom, in the kitchen or in the basement, if you wished. 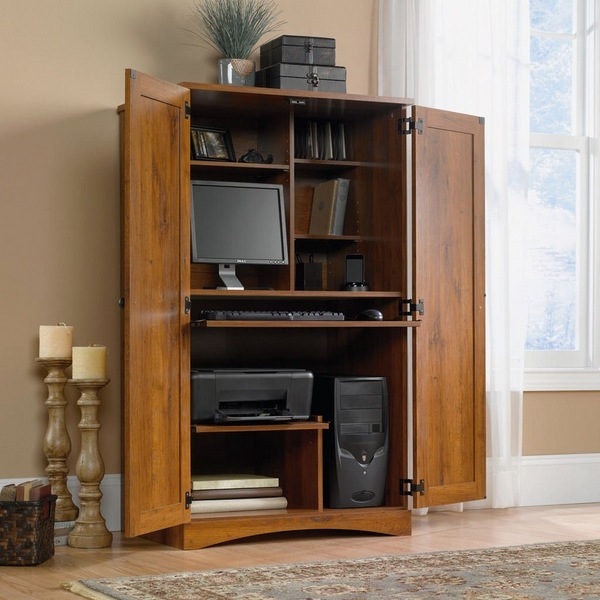 If you wanted to organize your office in the living room you may buy a computer armoire and there are beautiful designs which will add to your home decor. 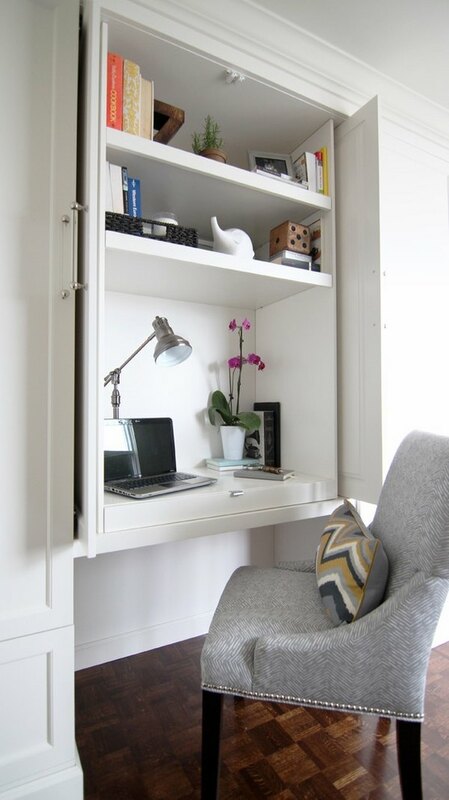 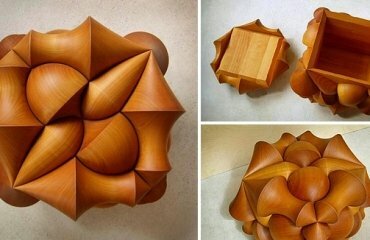 A compact design can be easily fitted in your bedroom too or in the kitchen. 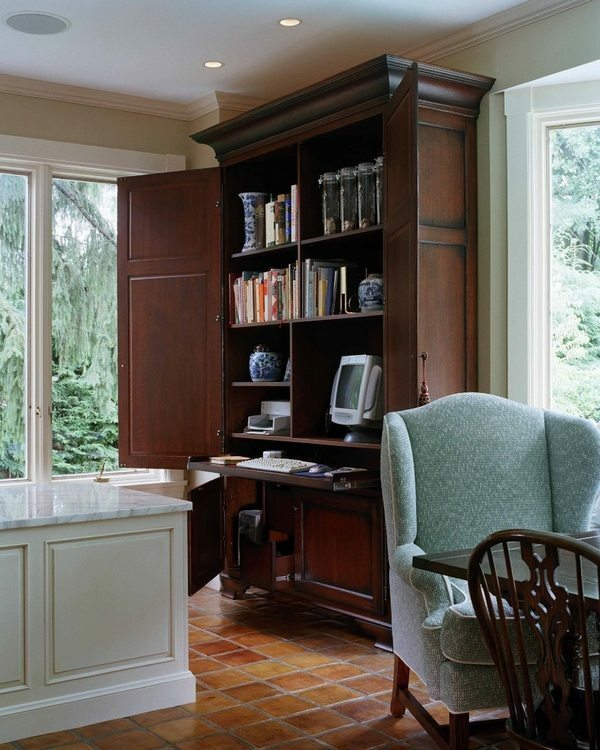 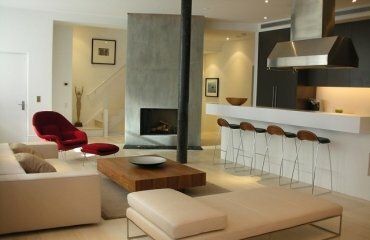 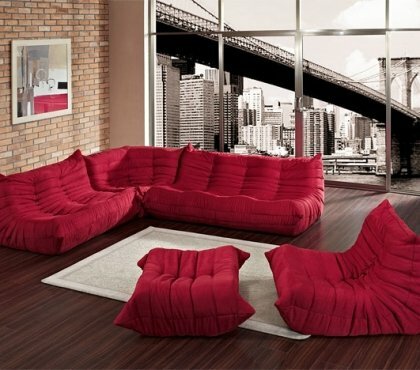 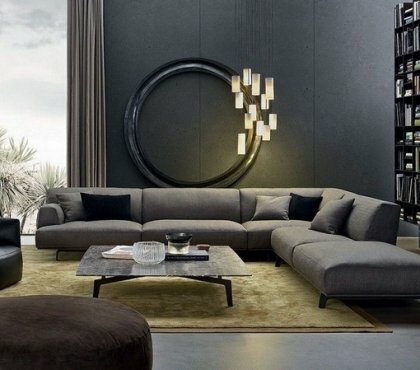 The diversity in designs offers many options to utilize and maximize the use of living space. 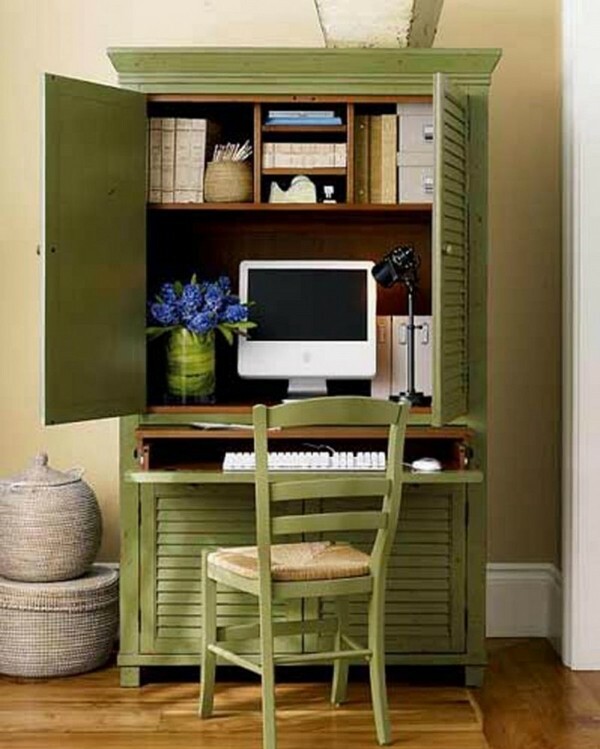 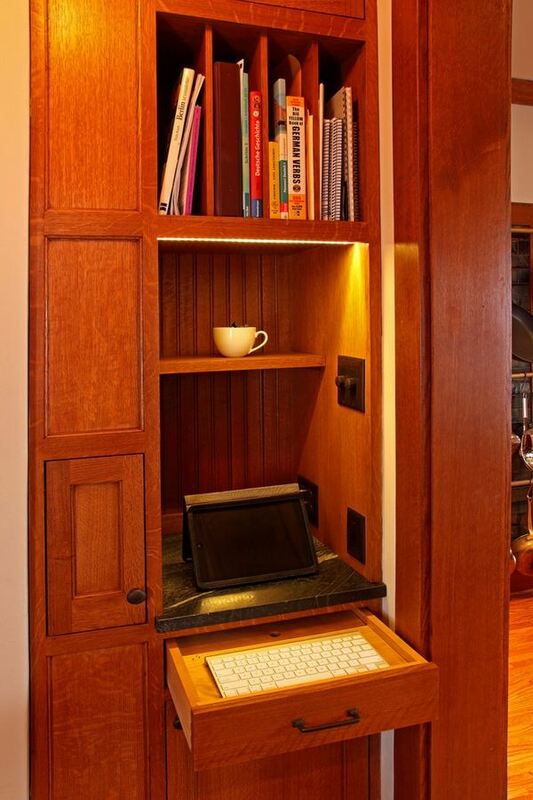 One of the best space saving options is a corner computer armoire as it looks discrete and does not take much of the room. 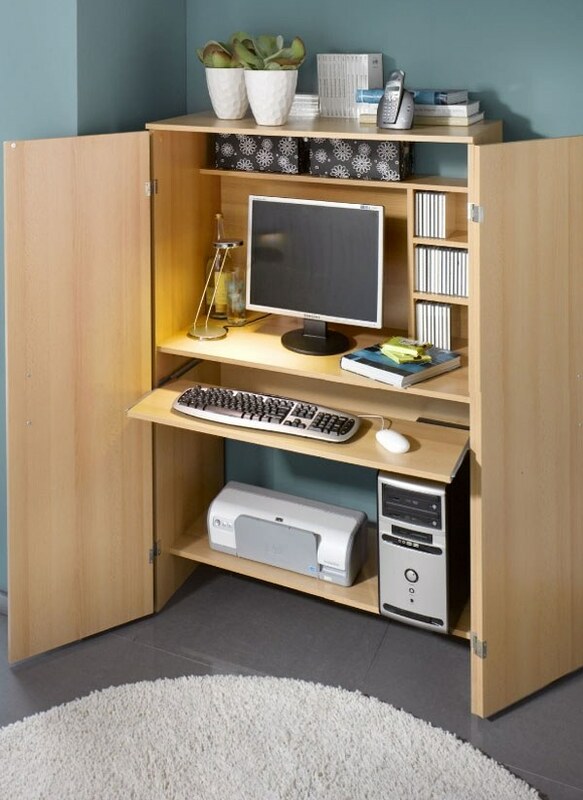 When you choose such desk for your computer make sure that it provides enough storage space for all the items that you use, as well as some for the accessories. 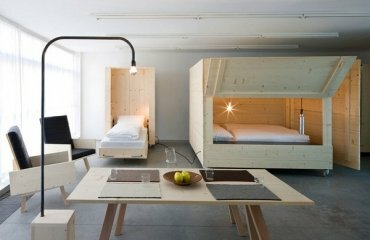 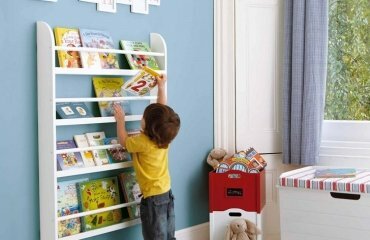 Check the number of shelves, drawers and the charging station. 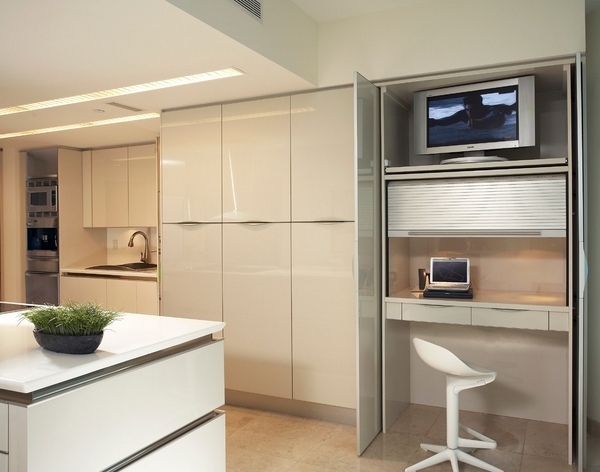 The way the doors open is also important as this is important not only for the design but for the functional use of space.